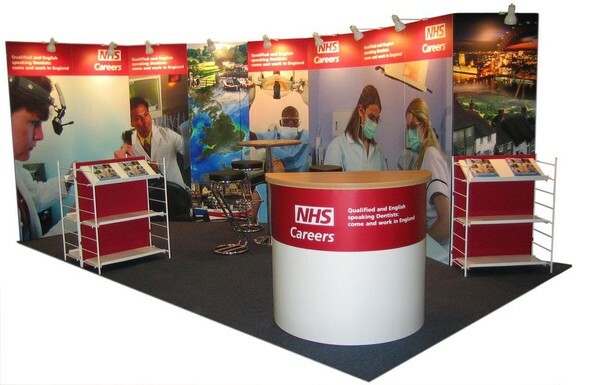 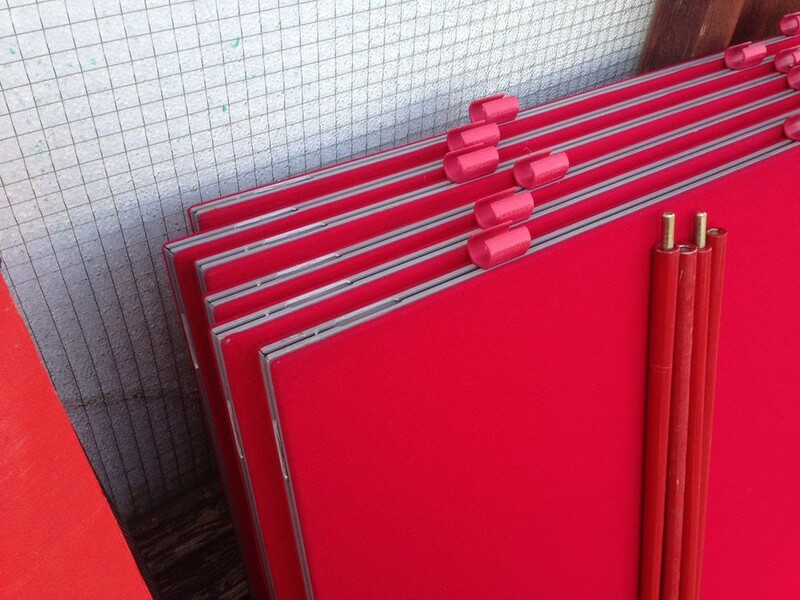 Odyssey – Light weight exhibition panels covered in crimson coloured loop nylon material (Velcro compatible). 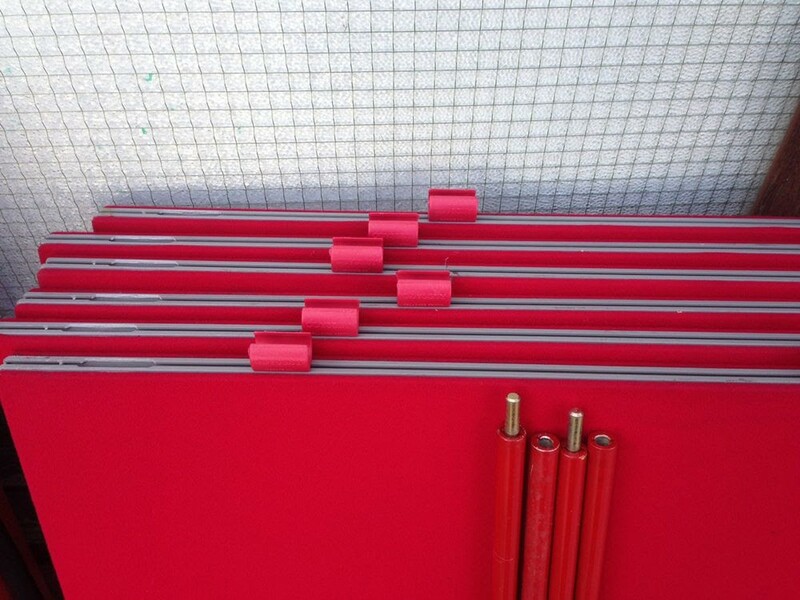 The panels clip together with matching crimson coloured clips and poles. 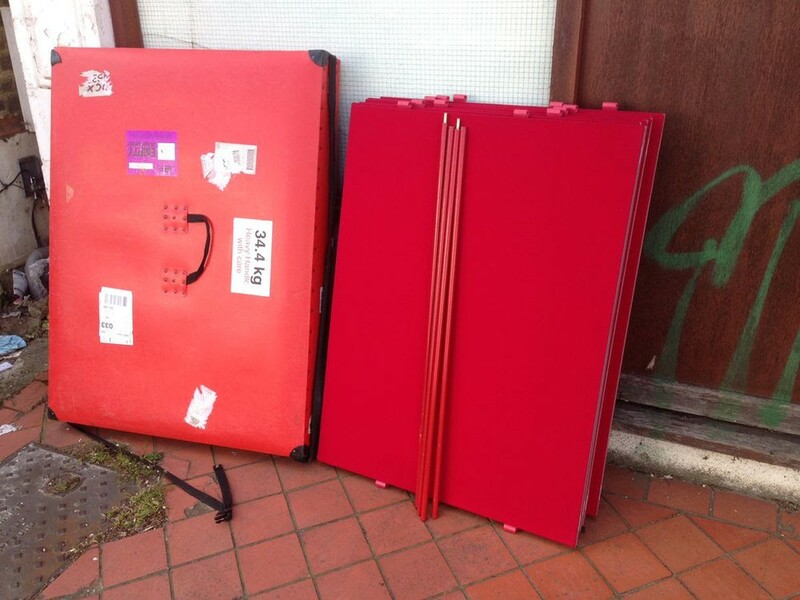 All panels are boxed in red polypropylene carry cases. The equipment is in very good used condition and has been stored in its boxes in our warehouse. Collection from Wood Green, London N22. We may be able to deliver - delivery cost and time to be negotiated.